At Huff ‘N Puff, we know just what your home needs to be safe on the inside and beautiful on the outside. Over the last 40 years, we’ve worked with over 35,000 customers to improve their homes. We are always concerned about security and safety, and our customers trust us to offer them the best in products, workmanship and warranty. We offer everything from French doors to replacement gutters in Albany County and the surrounding areas. You can expect our professionals to be adequately certified when they are working on your home, and we are always friendly, courteous and kind when we come by. We choose the best products for your particular home and make sure they are installed by a professional to improve the warranty. No matter what changes you want to make to your home, we are confident we have a solution that can help. We treat every job the same, no matter how big or small, and work to keep our prices affordable and present you with options that fit in your budget. 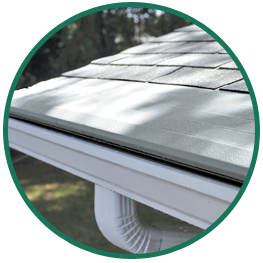 We offer replacement gutters with Gutter Helmet to ensure that debris doesn’t clog up your gutters. Save time and money when you don’t have to take time cleaning your gutters out on a regular basis. 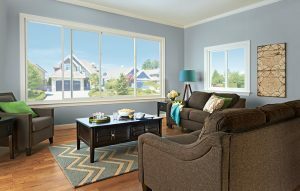 We offer a variety of new windows in Albany, NY to make your home more beautiful and more energy efficient. We’ll help you choose the right material and design for your home. We’ll change out your entry or patio doors, or replace sliding doors with beautiful French doors. Your security is always first on our minds, so we provide solid locking systems with every door we install. Give us a chance to earn your loyalty in business and in friendship. Call us today at (855) 483-3678 or contact us online for a free quote.